Anastasia "Anna" Klafter has been the principal of Independence High School since 2016. A San Francisco native, Ms. Klafter came to Independence from Boston Public Schools, where she spent three years as the Chief Academic Officer of TechBoston Academy, a 6th-12th grade school in the Dorchester neighborhood. Ms. Klafter holds a B.A. in Art from University of California at Los Angeles, an M.A. in Art from New York University and an M.Ed. in School Leadership from Harvard Graduate School of Education. Ms. Klafter was a special educator and English Language Arts teacher for eight years in San Diego and Boston, and she is also a proud parent of a SFUSD 4th grader and 1st grader. In her former life, Ms. Klafter deejayed and wrote about music for websites and magazines and she still loves to listen to music and see live shows. Ms. Klafter loves the diversity of experience and background within the Independence student body. Kelly Kruger is in her fourth year as Assistant Principal at Independence/Community Home-Based and her seventh year total at the school. Ms. Kruger facilitates the Response to Intervention (Triangle) Team. Prior to school leadership, Ms. Kruger was a special educator and a teacher in the One Room Schoolhouse Program. She holds a B.A. in Child and Adolescent Development and an M.A. in Special Education, both from San Francisco State University. Ms. Kruger is an SFUSD graduate and the stepmother of an Independence graduate. She enjoys spending time with her baby son and family. She admires the strength and resilience of the Independence students. ​Ann Collaco is a licensed clinical social worker and has been the Independence Wellness Coordinator for six years and has spent ten years as a social worker in SFUSD. Ms. Collaco holds a B.A. in Psychology and an M.S.W. in Social Work, both from San Francisco State University. ​Ms. Collaco was born and raised in the Sunset district, where she now lives with her wife and two children. She loves to travel, cook and hang out with her dog and family. She loves our, “small community where caring relationships are forged between all community members." ​Catherine Jordan is our part-time nurse and a veteran nurse with 25 years of experience. Ms. Jordan is a lifelong San Francisco resident and an SFUSD parent. Ms. Jordan holds an A.S., B.S., Master's and Nurse Practitioner degree in Nursing from San Francisco City College and San Francisco State University. In her free time, Ms. Jordan enjoys gardening, walking her dog, and reading. She appreciate how the diverse student body at Independence High School represents the diversity of San Francisco. ​Tina Jones is in her third year at Independence High School and her fifth working in SFUSD. Originally from Delta State, Nigeria, Ms. Jones is a former fashion buyer and beauty salon owner. In her spare time, Ms. Jones enjoys relaxing and reading. Ms. Jones likes the environment and the people she works with at Independence High School. Benu Lahiry, our RAMS Therapist (AMFT) has been with Independence High since January 2018. She holds a B.A. from Bryn Mawr College in Art History with a minor in Film Theory, and a M.A. in Counseling Psychology from the Wright Institute in Berkeley with a concentration in Marriage and Family therapy. She has lived in San Francisco for the past eight years, and loves being a part of the close-knit Independence community. She enjoys cooking (mostly baking), running, yoga, and eating. Lots of eating. David Allen has been a paraprofessional at Independence for four years. He holds a B.A. from San Francisco State University. Born in Chicago, Mr. Allen is a long-time Bay Area resident who enjoys working with the staff and students at Independence. Mr. Allen is also a member of the Para to Teacher program with the district. Celine Au is an eighteen year veteran of Independence High School’s teaching staff. A native of Hong Kong, Ms. Au holds a B.A. from San Francisco State University as well as a Chinese Bilingual Credential. Ms. Au likes to have direct contacts with her students and says, “I can develop trust with them easily by working one on one. Our program is very flexible to meet individual needs”. Cicily is in her 3rd year at Independence High School, after sixteen years as a special educator at Visitacion Valley Middle School. Born and raised in San Francisco, Ms. Ennix attending Lakeshore Elementary, Martin Luther King MS, Burton HS, City College and received her MA in Special Education at San Francisco State University. Ms. Ennix loves spending time with her children swimming, camping, and traveling. She loves the working with the fun and unique staff and students of Independence High School. Peter Hippard is in his fifth year at Independence High School. Prior to this, he taught at Clarendon Elementary School, JBBP for 16 years. Mr. Hippard has a BA in History of Public Policy from UCSB, and and MA in Instructional Technology from SFSU. He is credentialed in Social Sciences and enjoys teaching about the connection between historical events and today current topics. Mr. Hippard enjoys the great outdoors, traveling around the world, and practicing yoga. He likes how Independence High provides a safe and supportive environment for all kinds of students in San Francisco. Eric Harper is in his seventh year of teaching, and his third year as a special educator at Independence High School, where he also serves on the Instructional Leadership Team. Mr. Harper holds a B.A. in History from the University California at Santa Barbara, a Single Subject Teaching Credential from California State University at Monterey Bay and an M.A. with Education Specialist Credential from San Francisco State University. Mr. Harper loves spending time with his dog, Rune, and his wife, Michelle, whose sister is an Independence High graduate. Mr. Harper loves getting to know students as individuals, here at Independence High School. This is AJ Johnstone's nineteenth year in SFUSD teaching a variety of grade levels and subjects. AJ is a candidate for certification from the National Board for Professional Teaching Standards. She attended Barnard College and the University of Virginia and holds a B.A. in Sociology and a M.A. in Teaching from the Curry School of Education. She enjoys cooking, knitting, reading history and discovering tessellations in nature. AJ loves digging into exciting mathematical ideas here in the small, close-knit community that Independence provides. Jennifer Klecker is in her third year at Independence High School. Ms. Klecker has taught for eight years and she holds a B.A. in Art Education from Cardinal Stritch University in Milwaukee, WI and an M.F.A. from California College of the Arts. Outside of the classroom, Ms. Klecker’s art practice includes drawing, photography, video and installation. She spends her breaks backpacking in the Sierra Nevada mountains and traveling to Italy. Ms. Klecker is excited about helping Independence students develop their visual voices. Chris Lamb has been teaching in SFUSD for 24 years. This is his tenth year working as a librarian and his first at Independence. He holds a B.A. in French from SUNY Binghamton, a BCLAD teaching credential from SFSU and a Master's degree in library science from San Jose State University. Born and raised in New York City, he moved to San Francisco 27 years ago after serving in the Peace Corps in Honduras. In his free time he enjoys reading (naturally), traveling and hiking. Rose Ludwig is in her eighth year of teaching, and her third year at Independence High School. Ms. Ludwig holds a B.A. in Political Science from Loyola Marymount University, an M.A. in International Political Economy and Development from Fordham University and an M.A. in Special Education from San Francisco State University. Ms. Ludwig likes to read, hike, cook, and travel in her free time, and she loves the sense of humor of her Independence students. Joseph Machado is in his nineteenth year of teaching and his fifth year at Independence High School. Originally from Turlock, CA, Mr. Machado holds a B.A. in Social Sciences from Chapman University and an M.A. in Somatic Psychology from California Institute of Integral Studies. In his spare time, he enjoys dancing and hiking. Mr. Machado loves developing one-on-one relationships with students. Donna Muse is in her fourth year at Independence HS and in her sixteenth year os teaching. She is a math content specialist as well as the facilitator for Independence. She holds a B.S. in Business Administration from California Polytechnic Institute, a Teaching Credential from John F. Kennedy University, and M.S. in Math Education from Western Governors University. Her goal is to have students approach mathematics more positively and improve their mathematical confidence. In her spare time, she loves photography as well as spending time with her dog and friends. Mira Raykova is in her first year at Independence High School and in her fourth year in SFUSD teaching a variety of grade levels and subjects. Prior to teaching, Ms.Raykova enjoyed working on eelgrass restoration and research at Dr. Boyer’s wetlands ecology laboratory at Romberg Tiburon Center for Environmental Studies. She received her Bachelor of Science degree in Environmental Studies with emphasis in Biology and her Teaching Credential from San Francisco State University, and is currently a MA in Education candidate. In her free time, Ms. Raykova enjoys traveling, reading, and spending time outdoors with her daughter and their two rescue dogs. She has lived in San Francisco for 20 years and is a native of Bulgaria. Ms. Raykova is thrilled to join the nurturing community of educators at Independence, and to make a difference by empowering students to become successful in science. Linda Sawamoto is our Learning Lab Coordinator. Ms. Sawamoto was born and raised in San Francisco and has served the students of this city for 30 years. When she is not working, Ms. Sawamoto enjoys gardening, spending time with her family and being silly. Ms. Sawamoto loves the diversity at Independence and she loves being a HAWK (caw caw)! Claudia Shehan is in her thirteenth year teaching at Independence High School. A native of El Salvador, Ms. Shehan studied Social Work at Universidad Tecnológica de El Salvador and received her B.A. and BCLAD Credential from San Francisco State University. Ms. Shehan has lived in the San Francisco Bay Area since 1987 and she loves to travel with her family, take walks, go on spiritual retreats and take Zumba classes. Ms. Shehan appreciate the deep relationships she builds with students and parents here at Independence High School. Yolanda Reyes brings 40 years of experience in education- twelve teaching at Independence High School. In addition to her wealth of experience, she brings a wealth of education including a B.A. in Liberal Studies and. Ethnology, a Clear Multiple Subject CLAD Credential, and an M.A. in Educational Technology, all from San Francisco State University. Ms. Reyes enjoys reading, traveling, music, dance, cooking, loves building strong relationships with students. Britt Bass is the My Brother’s and Sister’s Keeper (MBSK) Project Manager for uAspire Bay Area. 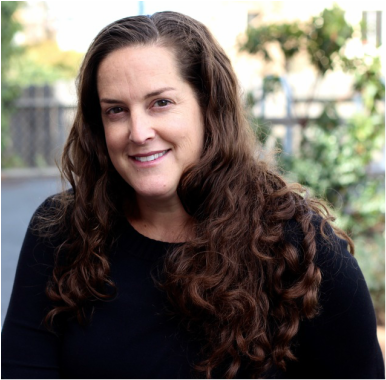 In this role, she helps oversee the project, builds relationships across all of the high schools in San Francisco, and collaborates with community-based organizations to introduce and launch uAspire’s new MBSK initiative. Prior to joining uAspire, Britt spent six years building her non-profit management skills at City Year Los Angeles in a variety of roles, growing from Team Leader to Program Manager and Senior Program Manager. At City Year, Britt managed school and community partnerships with elementary and middle schools in the Watts neighborhood of Los Angeles, and trained and supervised more than 75 AmeriCorps staff members. She attended Morehead State University in Kentucky where she majored in Business and was also a student athlete. Breanna is the My Brother’s and Sister’s Keeper (MBSK) College Affordability Advisor at uAspire. Through this initiative, she supports Bay Area high school seniors through the college application and enrollment process, with a special emphasis on college affordability. Prior to joining uAspire, she worked at Boys Hope Girls Hope-St. Louis as a college success coordinator where she assisted high school seniors through the college process. Additionally, she worked at The Scholarship Foundation of St. Louis as a student advocate, and spent two summers advising students at the High School to College Center during the “summer melt” months. Breanna earned her BA in Communications from Saint Louis University.